Beautiful You: Blogmas Day 16 | Christmas Day Outfit Ideas! 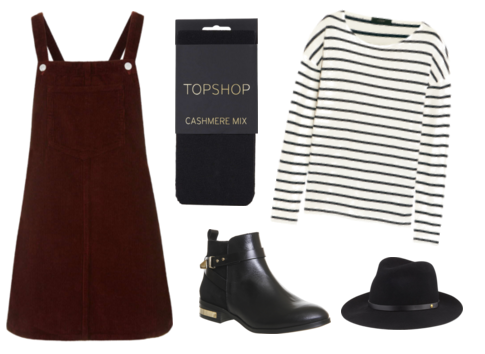 Blogmas Day 16 | Christmas Day Outfit Ideas! 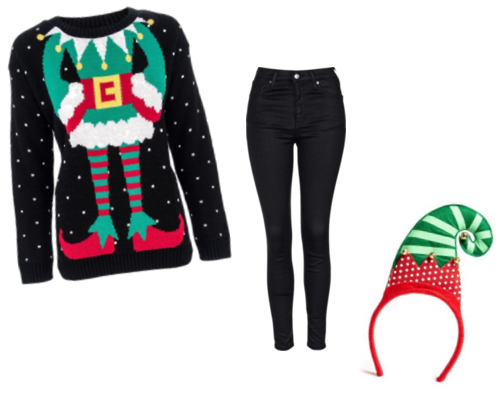 I know lots of families have different thoughts on what you wear on Christmas Day, some stay in their pj's all day, some dress up and some just put on a ugly Christmas sweater and they are ready to go so I thought I would share an outfit idea for each category! 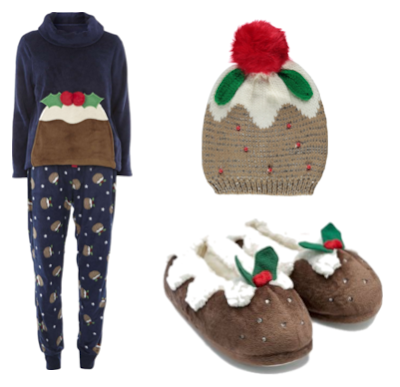 Now if this outfit doesn't shout Christmas then I don't know what does, I found these amazing Christmas pudding PJ's and paired them with some pudding slippers and a pudding hat! If your not one for the PJ's all day then how about dressing up as an elf, I have pretty much this same outfit but as a reindeer- I even have the red nose. I took an elf jumper and paired it with a pair on black jeans and an elf hat headband! Now this is more like my outfit on Christmas Day because my family tend to dress up during the day. For this outfit I took a pinafore dress and added a long sleeve top underneath to keep warm along with a pair of tights, then to accessories I added a pair of black Chelsea boots and a fedora! Let me know in the comments which outfit you are mostly likely to be wearing on Christmas Day, like I said we like to dress up a little bit on the big day as it is an excuse to wear something nice.